His upcoming project Outer Peace is due out on January 18. Chaz Bear a.k.a. 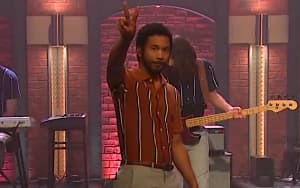 Toro Y Moi has released yet another single in the lead-up to his upcoming project Outer Peace. The smooth, soulful track is titled "Ordinary Pleasure," and is the second song released by Toro since announcing the body of work in October. On that same day, he shared the project's first single — the bass-heavy "Freelancer." Outer Peace is due out on January 18, and is set to feature W.E.T, Abra, and more. Listen to "Ordinary Pleasure" above.